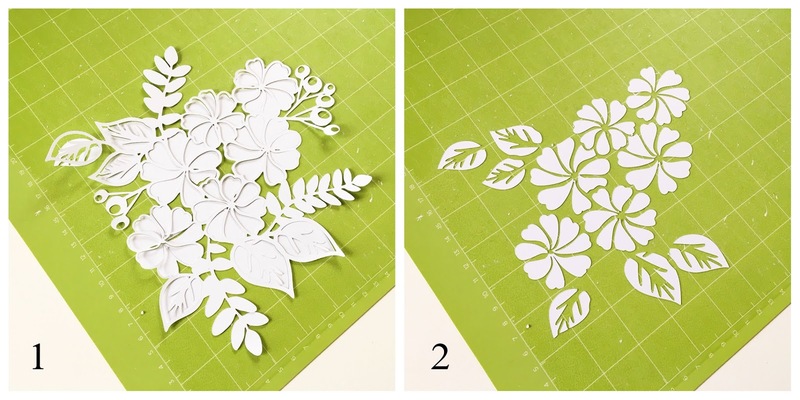 I've used the gorgeous Flower Cluster cut file (designed by Nathalie DeSousa), free from the CTK shop. It's so beautiful, both the "real" cut file and the negative of it as well. 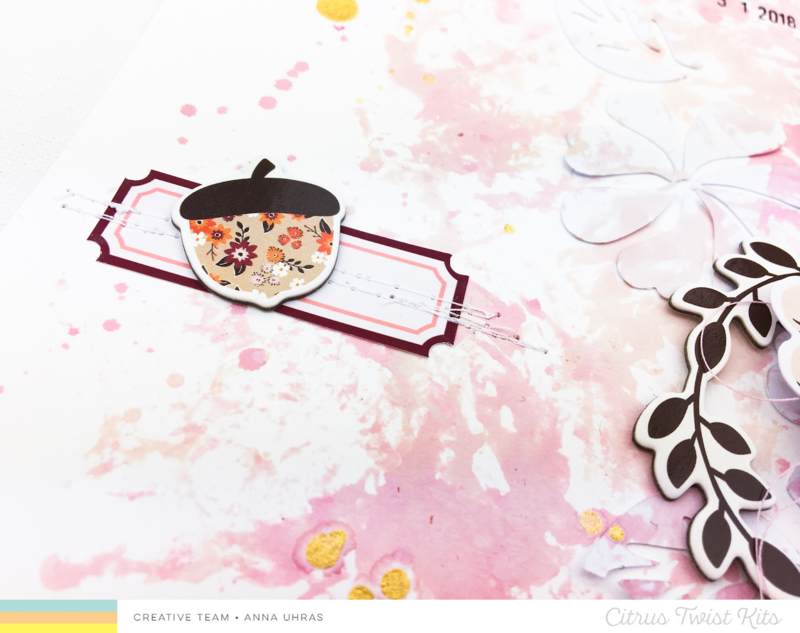 The papers and embellishments are bits and pieces from the October Sweater Weather Add On kit and the October digital printables as the Cut Apart Sheet and the Little Things Journaling Cards. I hope you are ready for some photo bombing now since here comes a few pics from my process doing this as well as a few pics of my finished page, Enjoy! 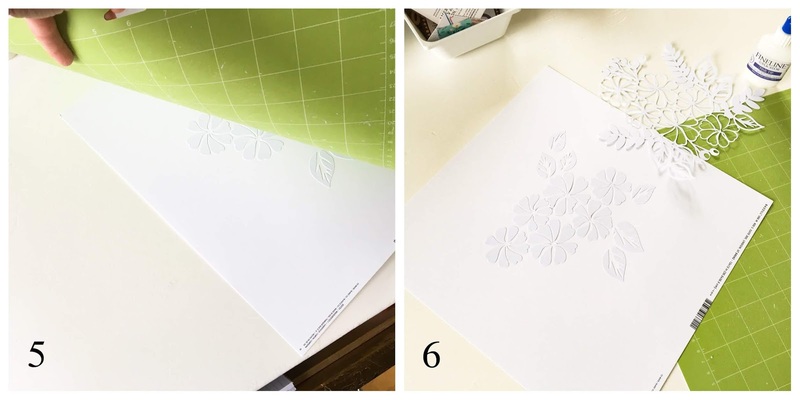 Just unmount the "real" cut file from the cutting mat and you will have your negative image left, the pieces we will use for today's project. Apply small dots of glue on each and every of the pieces and then place your cardstock ( this one is 12"x12") upon them. Make sure that your cardstock have contact with all of the small pieces. You might have to give it a little preassure with your hands. Then let it dry. After drying a few minutes you can carefully start to peel off the cutting mat from your cardstock and if not every little piece is attached on the paper there is no panic, just glue them afterwords where it should be. Now you have your background to work with. I was playing around with my photo and embellishments to get an idea of how my design would end up and then I put them aside and had a blast plyaing with some color mists using a plastic bag and made some splatters. After drying I started to mount my embellishment and layers of paper plus photo. Actually my title is another negative from yet another of our lovely CTK October cut files, "Falling". Nothing goes to waste, lol! And here's my finished page, I'm so happy how it turned out! Hopefully I have inspired you to give your negatives a go and just not let them go to the trash bin. Thanks for stopping by here with me today! 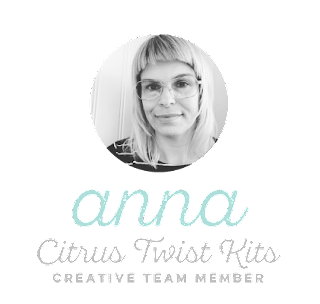 Don't forget to head over to our website to buy a kit or why not sign up for a subscription? 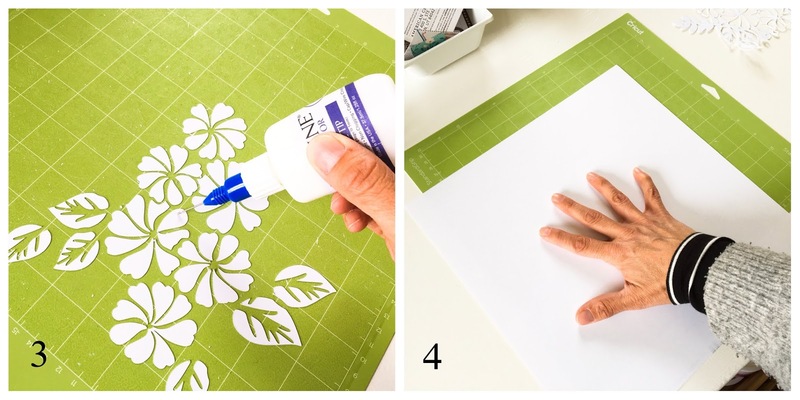 Also be sure to join us on our Facebook page, CTK Fan Page and share your creations with us, we would love to see what's going on at your crafty space. 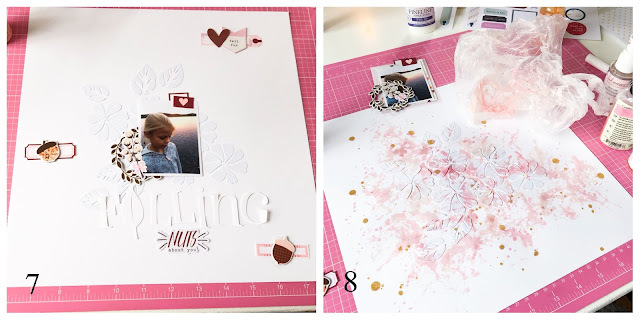 And last, but not least, have a look at our lovely weekly challenges up on our blog, as the Saturdays "3-to-inspire" and the Sundays "Sunday Sketch", they are both super fun challenges! Please welcome Andrea Gray to our Creative Team!